Last week I got together with this family of four for a fun session! We decided to meet early one morning before the threat of afternoon storms or it got too hot. But it was still hot nonetheless - welcome to summer in the south! I enjoyed getting to know Brian, Alicia, & their two girls and creating memories for them. Alicia told me it had been several years since they'd scheduled a session and they were overdo, before their girls were all grown up! Their oldest daughter is going to be in 2nd grade this fall and her little sister told me she was going to the same school for the first time & she'll be in pre-k. She is very excited about it! "M" the oldest girl was a little shy at first, but her sister "L" not shy at all! "M"opened up to me when I told her my sister was a 2nd grade teacher and that I photograph kids at schools on "picture day"(but sadly, not at their school). Both such adorable girls! With many out of school for the summer, now is a great time to schedule your family session! I only have a few weekends (Fridays through Sundays) in July opened for a local session (serving the greater NC Triad). However if you are planning a vacation in the Myrtle Beach area this summer, I will be there most of July and half of August during the week with afternoons and evenings available for family, couples, or high school senior sessions. I would love to create memories for you too! Contact us for details! 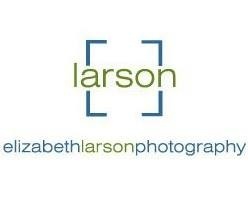 all images © Elizabeth Larson Photography 2018 | Greensboro Wedding & Portrait Photographer | Serving all of NC, SC, VA, and beyond!